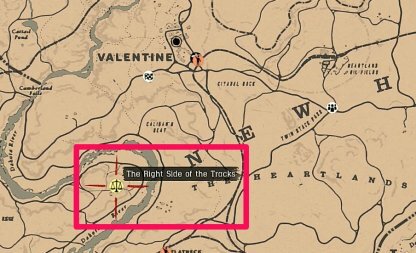 Check out this guide for a full walkthrough of the A Land Of Opportunities - The Right Side of the Tracks from Red Dead Online, including gameplay tips, guides, and more! 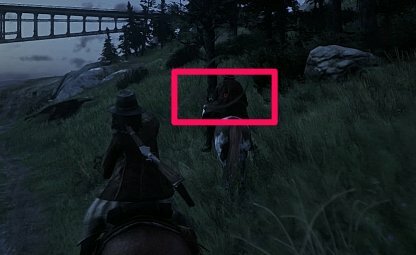 To start this mission, visit the Sheriff of Valentine. 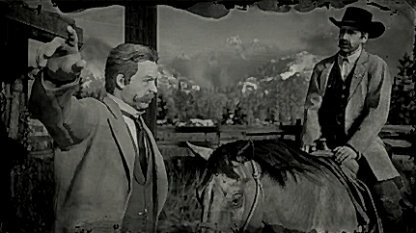 He's at the Painted Sky Ranch, southwest of the town of Valentine. 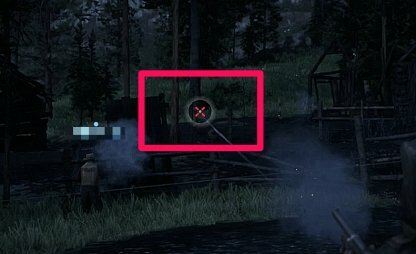 Make sure you enemy won't come back to shoot you by waiting for the red "X" mark when you shoot them. This confirms that you've made a fatal shot and they won't be getting back up. This guide chose to follow Choice A - "Help The Thieves". You need to hop up on your horse and chase after Bob Crawfish fast! Losing track of them and allowing them to escape will result in a failed mission. 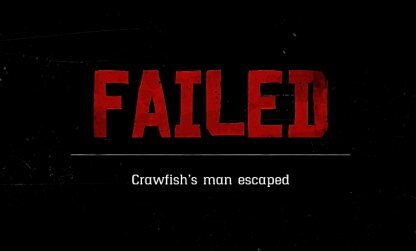 The best spot to aim to successfully lasso Crawfish's men is their torso. Wait for your reticle to turn red and then release the button to lasso them up. 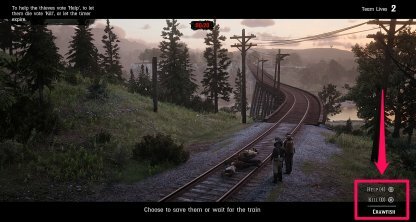 In this part of the mission, you'll be faced with another moral decision. Helping the thieves will raise your honor while letting the train run over them will lower your honor state. If you don't cut all 4 men free in time, they will die and the mission will fail. Quickly equip your knife and press the "Cut Free" button to successfully finish this quest.